Every couple that I work with holds a special place in my heart, and every now and again there are two people who are so destined to be together, it takes my breath away. Katie and Nathan are one of those couples. 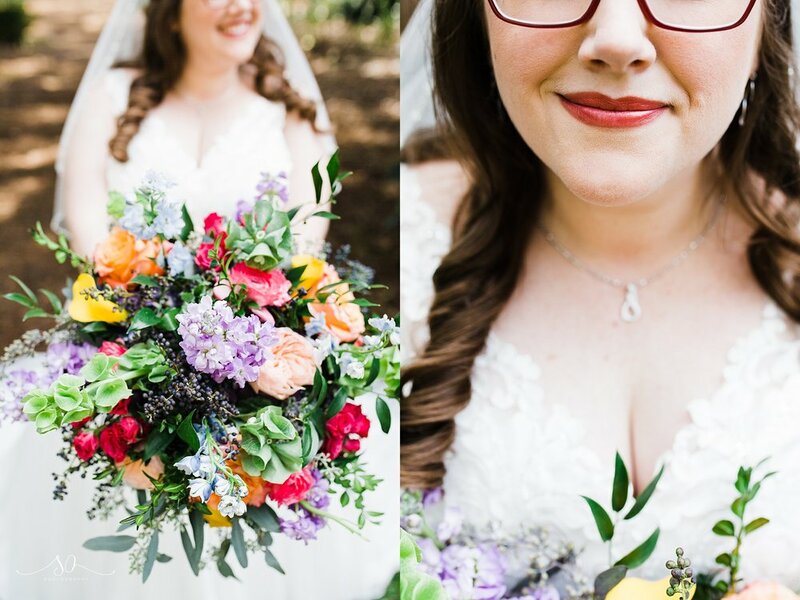 I bonded deeply with the two of them, drawn to their kind nature and beautiful love for each other and all things literary - which combined with flowers, lots and lots of color, was their theme for their day. After months of excitement and planning, the day finally came and I couldn't have been more excited to see their vision come to life! 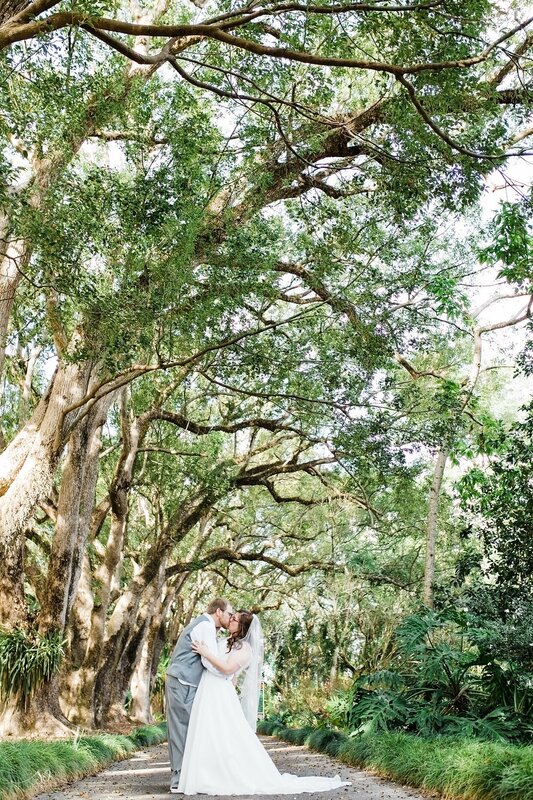 I couldn't have been more thrilled that Katie and Nathan decided to opt for a First Look, allowing themselves the opportunity to see each other for the first time in private, with just our cameras nearby (but still out of the way). It ended up becoming Nathan's favorite part of the day! He said "we had been around people so much and it was also our first moment alone. Not only was it special, but peaceful and purely happy." 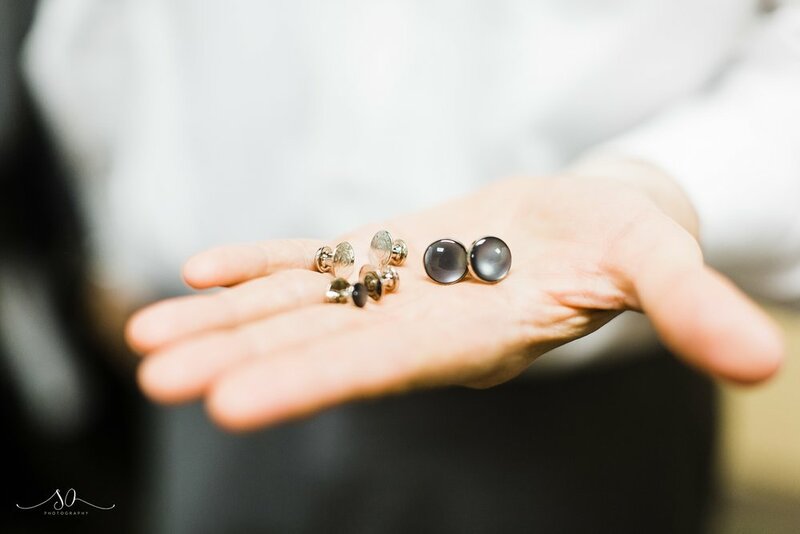 We spent the next portion of the day taking sweet portraits of the lovebirds and knocking out all the formal party portraits (to be seen further in the blog post). 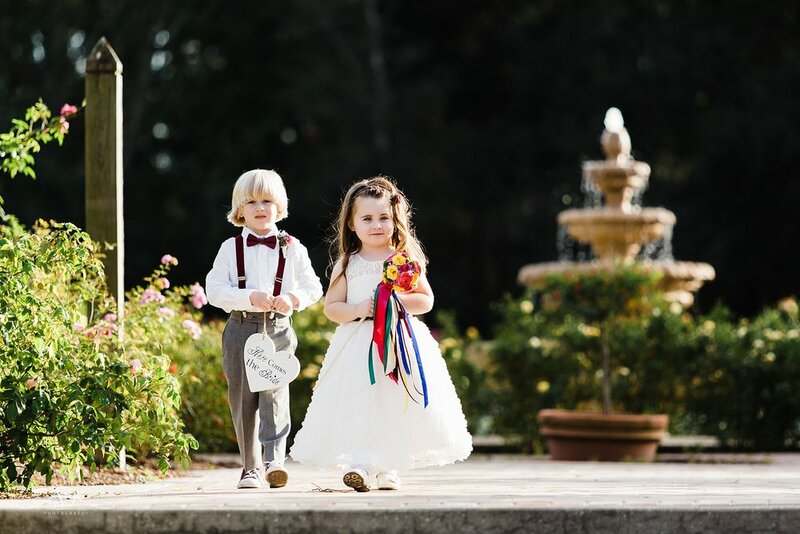 As family members and friends gathered to Leu Garden's infamous rose garden, the roses bloomed bright and beautiful on their sun-kissed December wedding day. 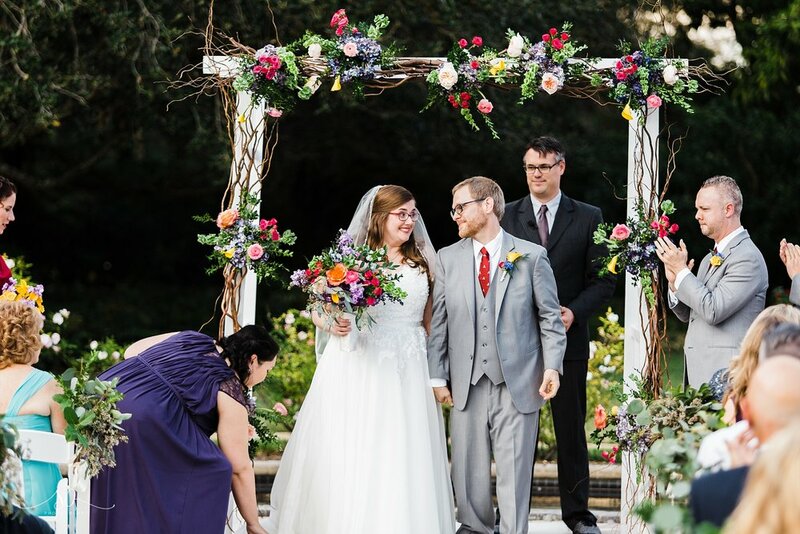 An archway of wildflowers against a lush green backdrop of trees stood as an altar, a handsome groom underneath it, and Katie walked right to him, and to her favorite moment of the day. "My most favorite part was probably our vows, and looking right at Nathan. 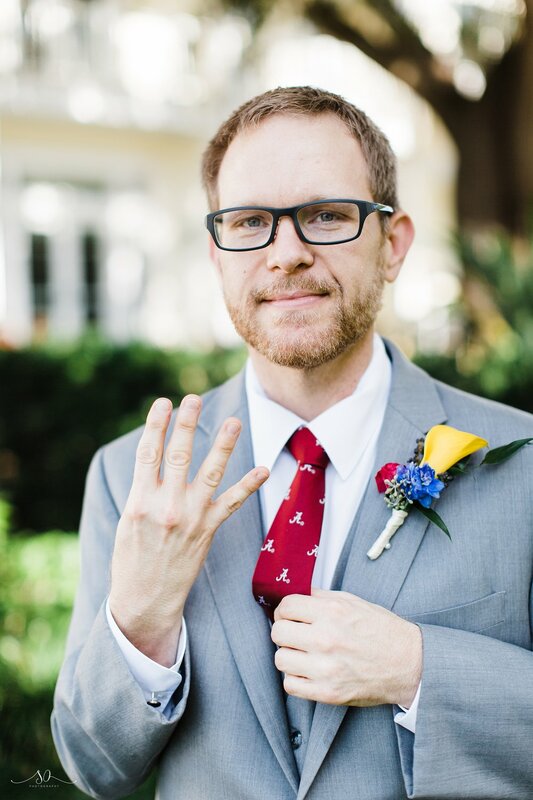 Many of my favorite moments were when Nathan and I would look at each other, in a toast, in our dance, in the vows, even during photos and for me, it was just us - despite the sea of people. 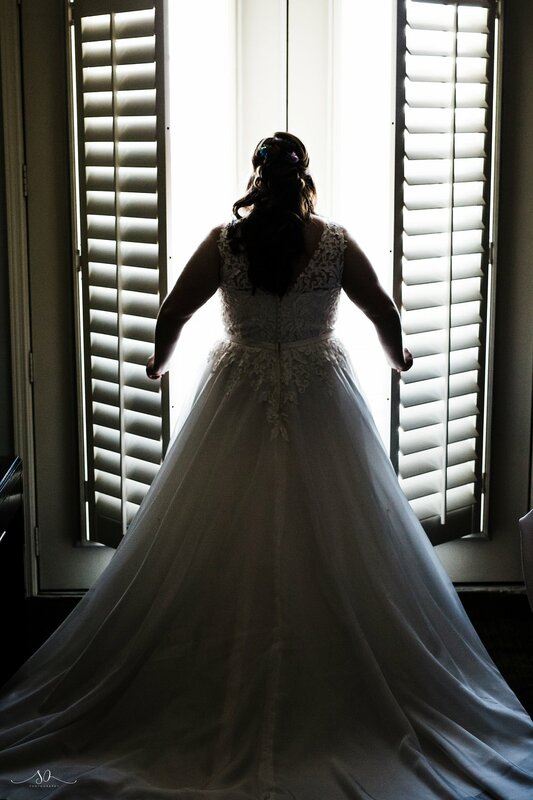 It was our moments and our love everyone was there to celebrate - so in any amount of overwhelming or stress, our hearts were full and the rest could fall away." Both lovers of music, it's no surprise that they both referenced tiny moments in their ceremony which reflected exactly that. 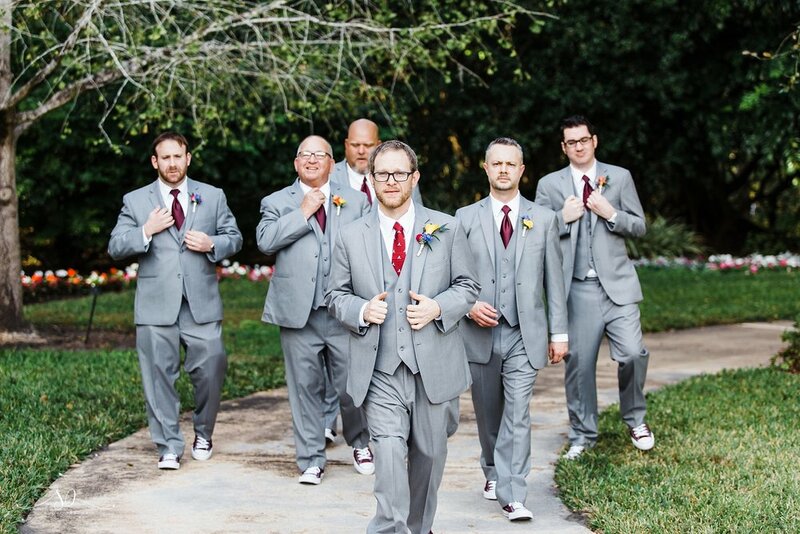 Aside from the vows, Nathan loved walking to the altar to Arcarde Fire - Wake Up. 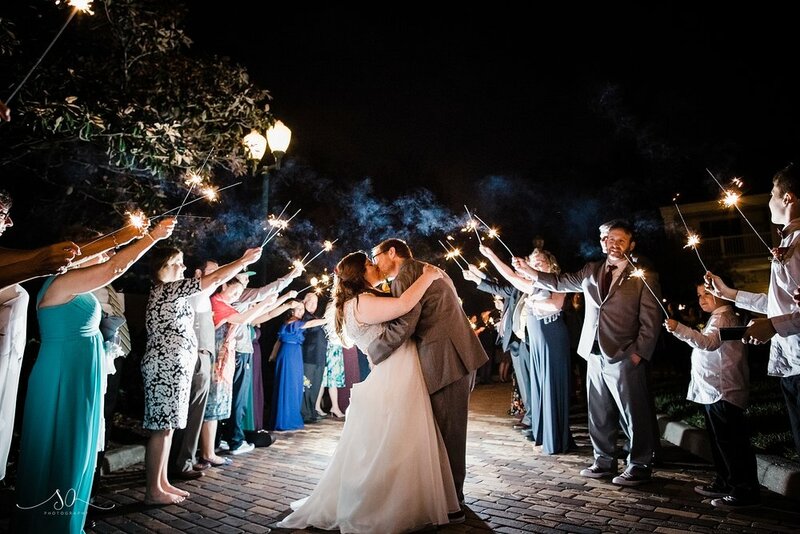 Katie also mentions "We were glad our vows, which we had truly kept secret from each other, brought fun and joy to our ceremony. We had discussed singing to each other but had not made it happen, and I was blown away by Nathan working in The Smith's - There is a Light that Never Goes Out." 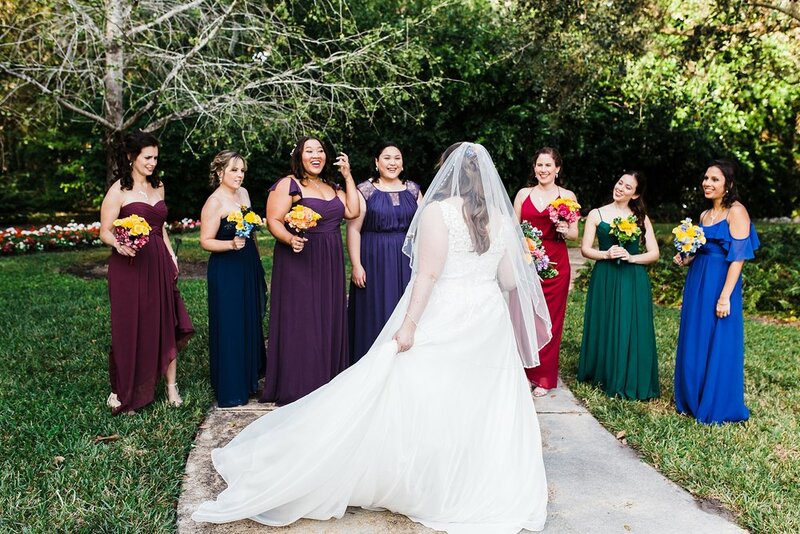 In tune with her love of beautiful, colorful flowers, Katie had her maids dressed in deep jewel tones. 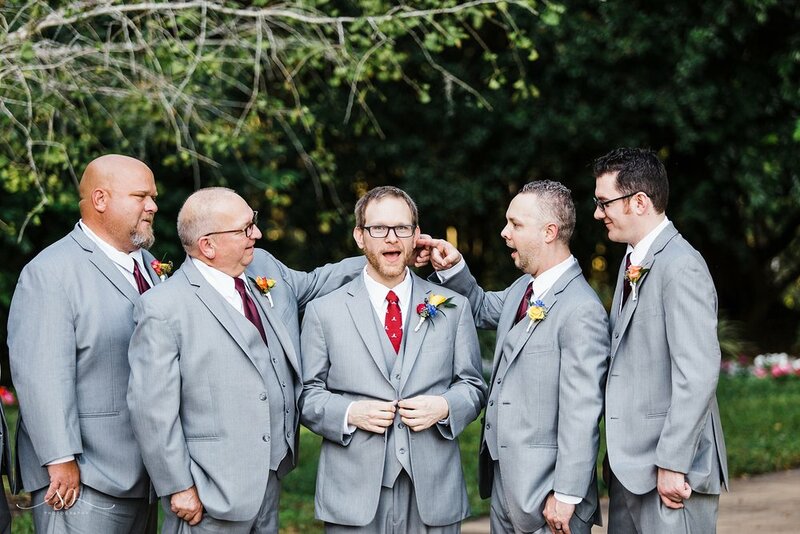 The pops of various colors brought a vivd tone to the formal party portraits, especially when paired with the cool greys donned by the men. Capturing the love between these two was a dream - there is an ease that comes with two people who are truly the best of friends, and it makes the entire experience joyful. 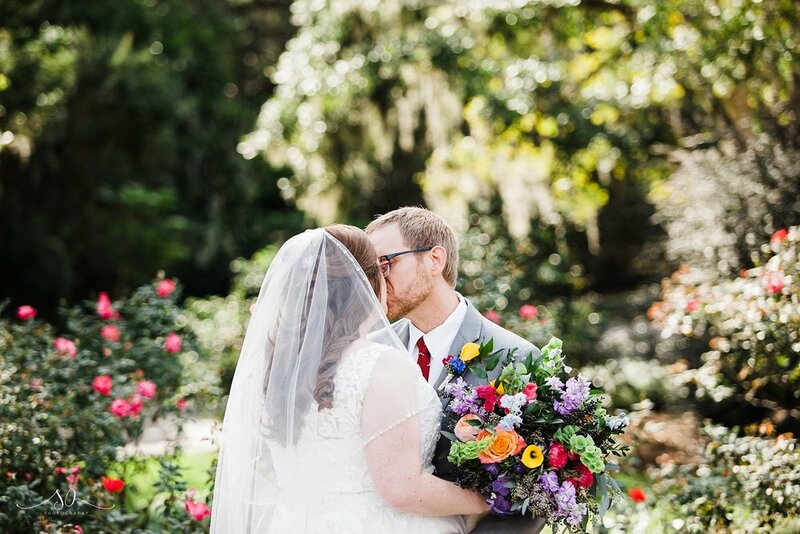 Leu Gardens provides beautiful backdrops and scenery throughout the park and dropping these lovebirds in the prettiest of them was basically the equivalent of a free-for-all in a candy store that only has all of your favorite candies: you're destined for happiness. After a dreamy portrait session around the gardens, we entered into a warm and lovely reception with amber uplighting in the ballroom, hosted by the amazing DJ Rey. 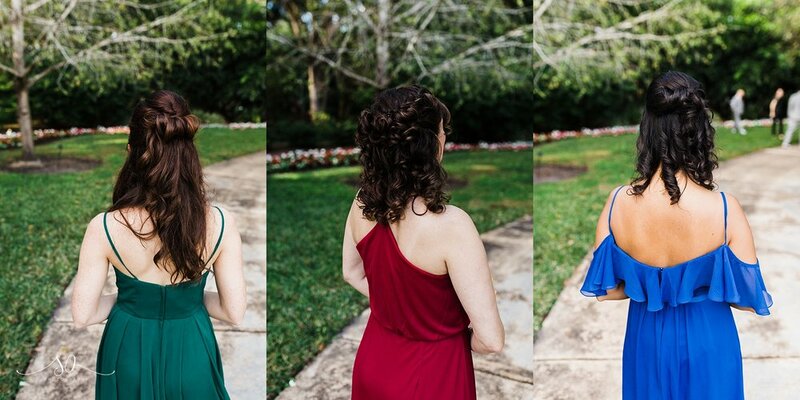 The couple remembers those final hours of celebration with the most profound fondness: "We were so excited we actually got to enjoy our delicious appetizers (I hilariously spilled the tomato soup shooter immediately on my dress - thanks bleach pen!) and Nathan tried oysters for the first time. 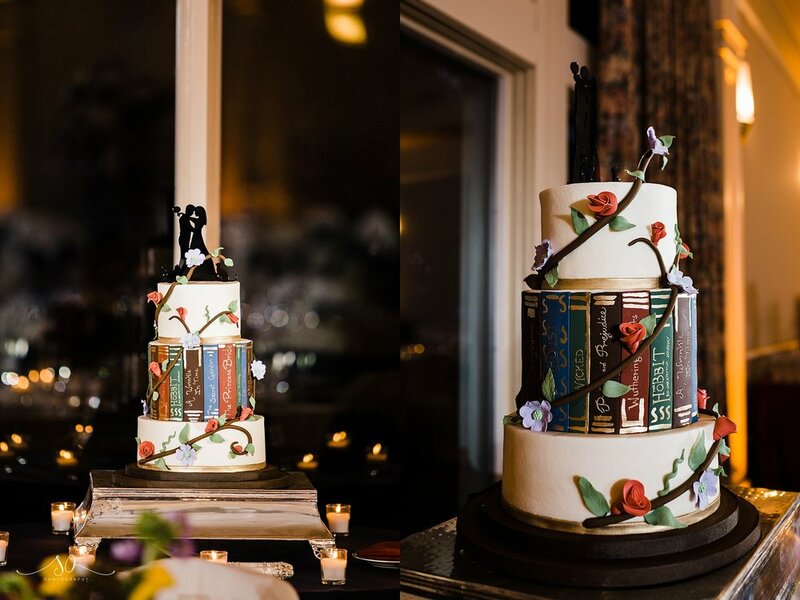 We were so excited to see everyone in the reception and dance to the Magnetic Fields, Book of Love. Both of us were moved by the sincere and humorous toasts from our dear friends. We were passionate about our music choices, and glad our guests enjoyed them too- thanks DJ Rey!! Katie was so happy to dance with her dad. It became such a beautiful blur. I think we both enjoyed the food and even managed to grab a flaming donut. We were so amazed to have all of our favorite people in a room together, and so grateful to have SO Photography there to capture all our joyful moments."